There’s a fairly common belief that if a dog’s nose is wet and cold, it automatically means the dog is in good health. 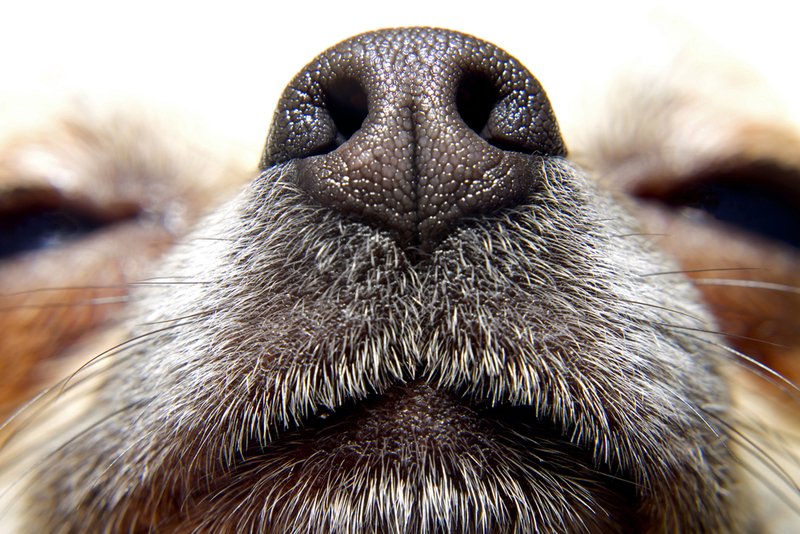 To understand why that may not always be the case, it’s important to understand the role a dog’s nose plays in its overall body functions. While humans have sweat glands to help us regulate our body temperature, dogs actually use their nose and the pads on their feet. So, if a dog is properly hydrated, there’s a good chance its nose will be moist. On the other hand, if a condition is preventing a dog from being able to adequately hydrate, its nose may be noticeably dry. In the event you do notice your dog’s nose is dry for an extended period of time, it’s worth bringing this issue to your vet’s attention. As with humans, a dog’s internal temperature can go higher or lower. It’s worth noting that dogs run a little warmer than people. 101 to 102.5 degrees Fahrenheit is the normal range for them. If you notice your dog’s nose is quite hot or much colder than normal, you should look deeper into what’s causing this change. Dogs can get nasal discharge. There are actually a few different forms this type of discharge can take. The first is clear. In addition to small amounts of clear discharge being completely normal, irritants like pollen or air freshener can cause a temporary increase in how much comes out. Thick opaque mucus is the next type of discharge. This generally means there’s a severe irritation or infection and signals that your dog needs professional medical attention from a vet. The same is true if your dog has a bloody nose or any amount of blood in its nasal discharge. If you periodically look at your dog’s nose, you’ll notice that it appears uniform in size and lacks textural or pigmentary changes. What happens if there are changes? It’s generally a sign of underlying health issues. A common example is nasal hyperkeratosis, which is often seen in older dogs and certain breeds, including Labrador retrievers. Since it can be a sign of other conditions like KCS, you’ll want to bring it up with your vet. Even though gauging your dog’s condition is a little more complex than simply checking if its nose is wet and cold, given all the useful information a dog can signal with its nose, you’ll probably find that paying attention to this part of your dog is helpful in allowing you to take great care of it.